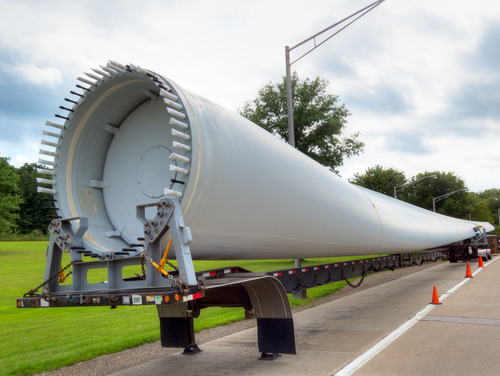 Industry Perspective Preview: What to do with "Spent" wind turbine blades? Most turbine rotors have three blades, ranging in size from 12-15 metres long, typical of the early machine generations, to 80 metres today. This is not to dismiss the eol issue presented by a wind turbine as a whole, but techniques for recycling concrete and steel elements are well established and the main challenge lies with the composite plastics that most blades are made from. These bi-phase FRP materials have been selected for their weight, structural and aerodynamic (when formed into blades) advantages - not for recyclability. Unfortunately, it is difficult to separate the fibres from the polymer resins in which they are embedded, but only by achieving such separation can the highest value recycling options be secured. Techniques for accomplishing this are in their infancy so majority practice to date has been to adopt options that do not require separation.